ISIS made their presence known in Ferguson. What did Eric Holder know that we are just figuring out? This report exlains how ISIS gains entry into the United States. Today, I am releasing a report submitted by Jeff Barber and his wife, from El Paso, Texas. 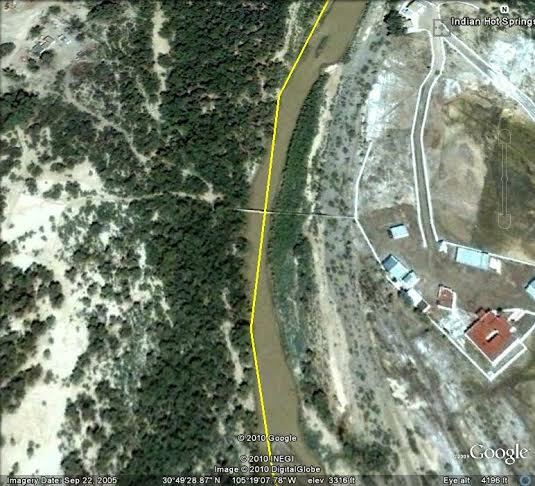 The Barbers decided to investigate 47 a mile stretch of “open border” between Mexico and the United States. Barber obviously examined the claims that I made, via a Judicial Watch report,which stated that ISIS had a base camp only 8 miles from El Paso. Mr. Barber provided me with the results of his investigation. Below are key excerpts from the Barber report. “I have personal confirmation from a Mexican law enforcement officer that there are two ISIS cells in Chihuahua state. My direct information from the Border Patrol officer is that the Obama administration has cut 75% of the “in the field” Border Patrol from East County to give people (illegals) a safe passage to Estados Unidos/United States. So when the drug cartel stole 200 stinger missiles from the Mexican Army I had an “inside” source that this incident was real. (I would trust this Mexican officer more than the Jay Carney/Josh Ernest spin from the White House). My wife and I decided we’d go investigate these matters for ourselves… Several CNN reports included interviews with ranchers, so we decided to go to their ranches as well and see what the real story was for ourselves”. Read More..
Look carefully in the middle of the image and you can see the bridge”.